When I look at this photo that I took back in Massachusetts a few autumns ago, I remember exactly how sunny, crisp and technicolor the day felt. 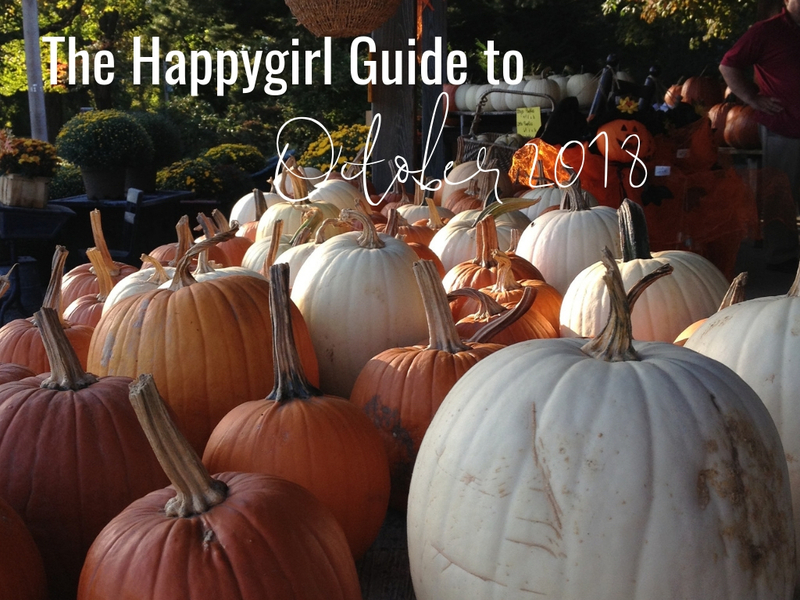 We had stopped at a farmstand to choose the perfect pumpkin for the loft. It was an idyllic, happy autumn day. This October, it seems like there are so many more important things to think about other than pumpkins. However, this month I am going to try to balance the serious along with the lighter things that make me happy like putting away my technology and curling up in front of the fire with the baby and reading her some of my favorite books. I hope that this month you find your happy balance as well. One of the side effects of last week's Judge Kavanaugh hearing was that more people became interested in our judicial and political systems. Do you know who your state senators are? In a study by The Benenson Strategy Group in Washington D.C., of 1,000 people surveyed between the ages of 18-34, 77% could not name their state senators. Learn more about your state senators and where they stand. If you haven't registered to vote yet, make that the first good thing you do this month. 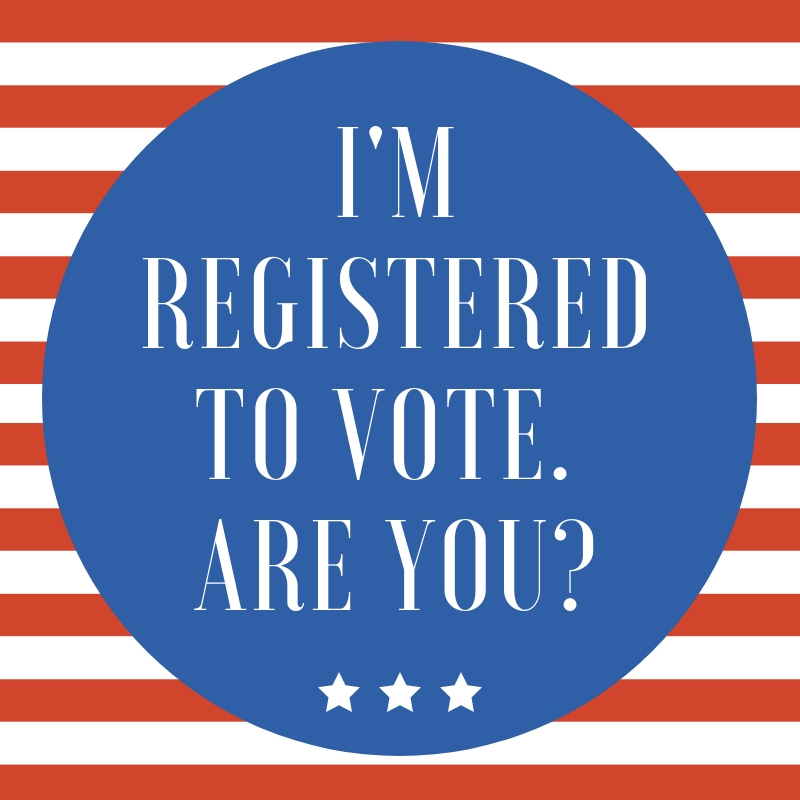 Visit Vote.gov to learn how you can register. 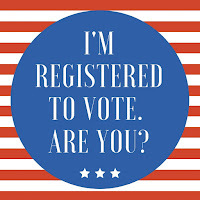 Type in your state and get directions on registering. Have you ever thought you would be interested in running for office? Visit Emily's List to for a step-by-step guide to starting your own political career. October 4th is National Vodka Day. Instead of your typical vodka and soda, try these vodka cocktail recipes from Steve the Bartender. 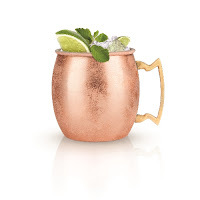 I've always wanted to learn how to make a Moscow Mule. What's your go to vodka cocktail? 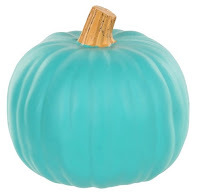 October seems to herald in this primitive desire to indulge in pumpkin pumpkin pumpkin. Waverly and I have been eating pumpkin every day ever since Trader Joe's started getting in their pumpkin and harvest themed products a few weeks ago. 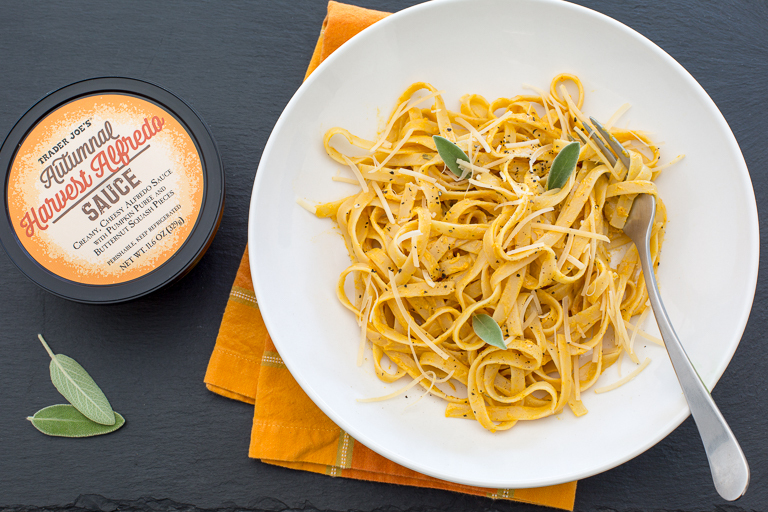 So far, we love the pumpkin Kringle and the pumpkin ravioli with Autumnal Harvest Alfredo Sauce. Visit your local orchard or farmstand for some of the year's best fruits and vegetables. I love this recipe for Pumpkin Risotto from the New York Times. In the past few days, I've spoken with several friends who are experiencing degrees of sadness, anxiety and/or depression. Maybe it's all that we demand of ourselves or maybe it's the weather turning or the Vitamin D that we're now lacking. 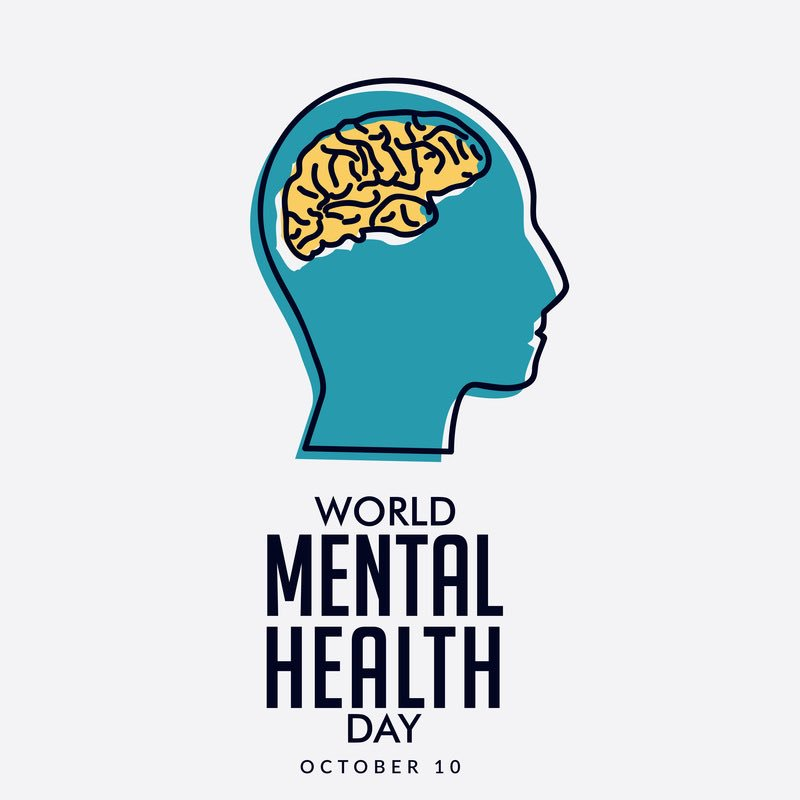 October 10th is World Mental Health Day followed by National Depression Screening Day on the 11th. If you're not feeling like yourself, you're spending more time away from other people, you're losing sleep, you're losing interest in things that used to make you happy or your friends and family have expressed concern about you, think about talking with a professional. I'm open about talking my experiences with anxiety and situational depression at times in my life. If it wasn't for good therapists and the love of family and friends, I don't know how I would have come out of it. 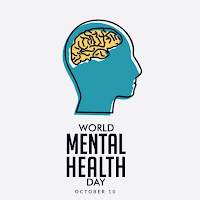 If you are concerned about your wellbeing, share your feelings with someone you trust and if you are worried about someone in your life, check in with them and ask them how they are doing. Visit this website to take a screening or to learn more about how you can help someone in your life. If you need to talk to someone immediately, call 1-800-273-TALK or text MHA to 741741. October is National Breast Cancer Awareness Month. Talk with your doctor about when you should schedule your next mammogram. Donate to the breast cancer awareness or support organization of your choice. (Chemo Angels is a good one.) Sponsor someone who is completing a physical challenge to raise funds for breast cancer research. Learn how you can modify your diet to be as healthy as possible. Fall is such a great time of year of films. Traditionally, this is the time of year when you expect to see award worthy films. Here are some of the movies releasing this month that I'm looking forward to: A Star is Born (10/5 An experienced musician helps a young star find fame. Bradley Cooper and Lady Gaga), Beautiful Boy (10/12 Based on a best-selling memoir, a father and son navigate the son's addiction. Steve Carell, Timothée Chalamet and Maura Tierney) and First Man (10/12 A look at the life of astronaut, Neil Armstrong. Ryan Gosling and Clairr Foy). One of my favorite things to do in the fall, is curl up with a good book and some tea (this Market Spice tea made here in Washington is my favorite.) Here are some the books I'm looking forward to this month: A Well Behaved Woman: A Novel of the Vanderbilts by Therese Anne Fowler, The Happy Cookbook: A Celebration of the Food That Makes America Smile by Steve Doocy and Kathy Doocy, Lessons: My Path to a Meaningful Life by Gisele Bündchen, A Spark of Light by Jodi Picoult and Gmorning, Gnight! 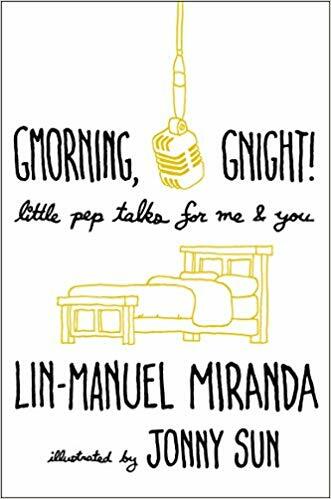 little pep talks for me and you by Lin Manuel Miranda. I recently discovered the WTF with Marc Maron podcasts and I feel like I just found something that I didn't know was missing in my life. If you're looking for a great podcast that is thought provoking and intelligent, start listening to Marc's interviews with personalities like Sir Paul McCartney, Anthony Bourdain and my favorite, Kristen Bell. On a rainy drive, listening to Marc is like having a really smart friend along for the ride. One of the happiest things you can do on a weekend in October is go apple picking. I spent many happy, sunny, crisp autumn days in Western Massachusetts orchards and I yearn for the taste of a the perfect tart Macoun apple, (available in the Northeast). Instead of grabbing lunch with a friend this month, get a bunch of your favorite people together, throw on a flannel shirt and boots and go apple picking. Sip some cold cider and if you're lucky enough, an apple cider donut too. If you pick loads of apples, try this recipe for Grandma Gould's Apple Crisp from Atkins Farms, my favorite orchard in Amherst, Massachusetts.